He was married to Ruth D. Terzaghi, a geologist. 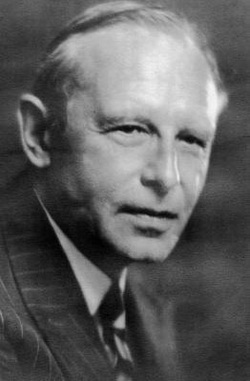 He won the Norman Medal of ASCE four times (1930, 1943, 1946, and 1955). He was given nine honorary doctorate degrees from universities in eight different countries. He started modern soil mechanics with his theories of consolidation, lateral earth pressures, bearing capacity, and stability. The following is a brief list of his major publications, a complete list has not yet been compiled. A list of his first 256 papers and reports can be found in From Theory to Practice in Soil Mechanics - Karl Terzaghi by Bjerrum, et al., John Wiley and Sons, 1960. An update was published by Geotechnique, March 1964. Recently a private compilation of Terzaghi's works has been uncovered---see the Terzaghi Libraries and Museums. This is where he presented to the world the new science, Soil Mechanics, that he developed mainly while working at ITU and Bogazici University (then known as Robert College) in Istanbul (then known by some as Constantinople). We have a picture of that campus --The birth place of Soil Mechanics-- People who see this photo say "if you worked there you were bound to invent something." The exact birth place is at the top of the hill, in that photo, just above the left tower of the castle-- the castle, by the way, was built by Fatih in 1453. It may be worthwhile to record here that KvT has done his consolidation tests --the first in history--in cigarette boxes For the benefit of the younger generations who may not know what a cigarette box is, here is the background information about cigarette boxes. This is where he presents his experimental side. He invented very ingenious tools for measurement of forces and displacements. He apparently designed, constructed, and performed all his tests himself. In this monumental work he lays it all out: consolidation theory, settlement calculations, bearing capacity theory, lateral earth pressures and retaining walls, shear strength and slope stability. In all cases he makes it clear that he is doing all that to be able to solve real world problems. He always gives design/analysis charts to make it easier for the engineer to apply the theories he developed or reorganized and perfected for practical use.